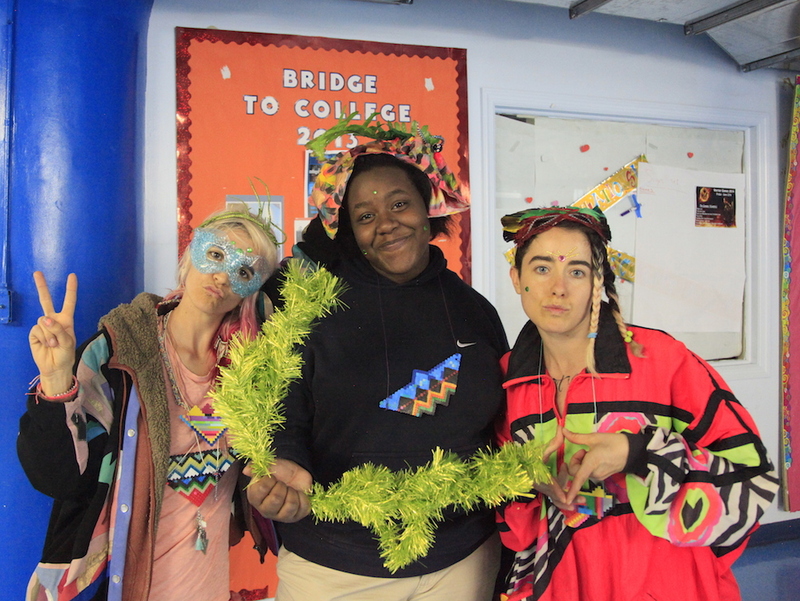 Diamond Tribe was a participatory workshop offered to low-income female youth that emphasized collaboration through creative movement. 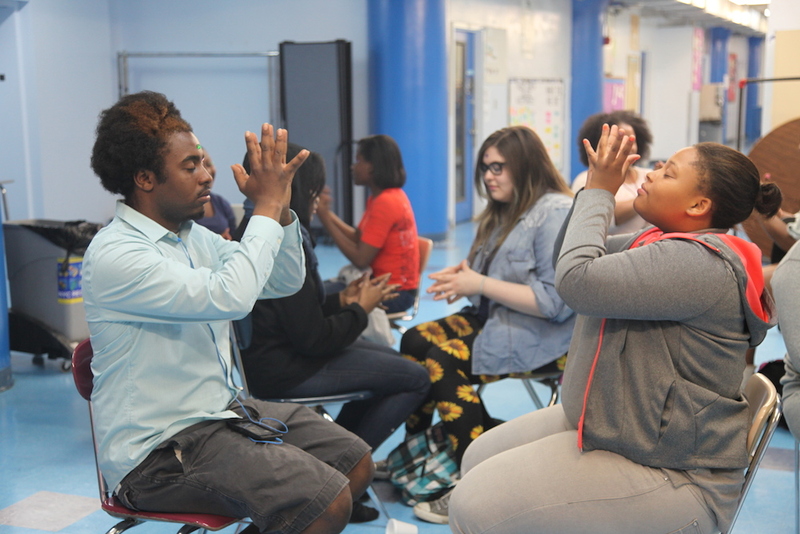 A combination of hip hop, yoga, and vocalization, as well as media literacy breakout groups that explored the goddess archetype in contemporary culture, the Diamond Tribe workshop created a safe space for self-empowerment within a group dynamic. Go! Push Pops held Diamond Tribe workshops at The Door where the youth were amazing. They also presented the project as a Go! Push Pops Performance at the New School Remix Festival and as a guerrilla performance at the Bruce High Quality Foundation show. The Push Pops are a queer, transnational, radical feminist collective under the direction of Elisa Garcia de la Huerta (b. 1983 Santiago, Chile and Katie Cercone (b. 1984 Santa Rosa, CA). 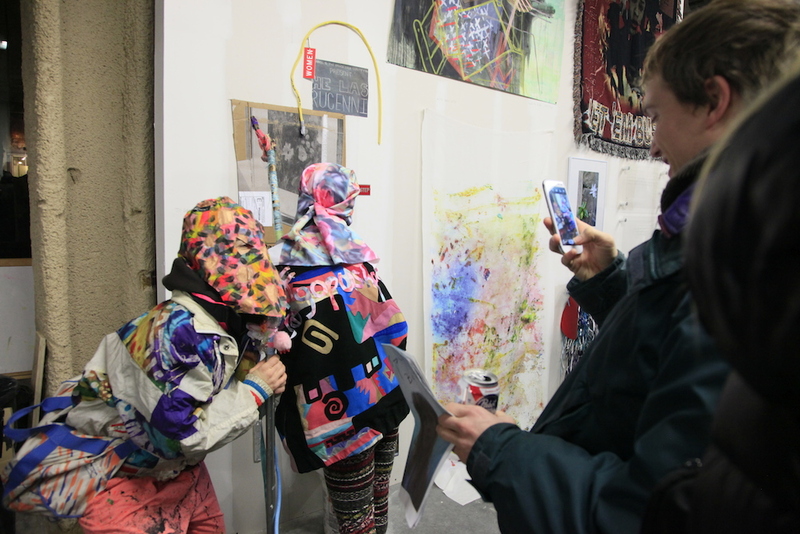 The Push Pops formed in 2010 at the School of Visual Art where both Cercone and Garcia obtained their MFA in 2011. The Push Pops have shown their interactive multi-media sculptures and performances in free public art festivals and Fine Art galleries throughout the greater metropolitan area including exhibitions at The Brooklyn Museum, Bronx Museum, Maryland Institute College of Art, C24 Gallery, Apexart, White Box and Local Project. 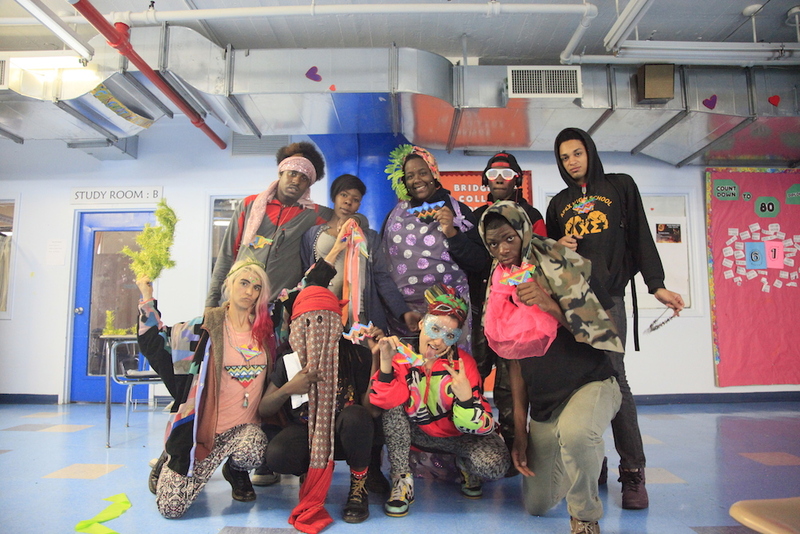 In 2011, the collective received NYFA Fiscal Sponsorship for their upcoming project ‘The Oral History of Ice Cream.’ The Push Pops were a 2013 Nominee for the Rema Hort Mann Foundation Visual Arts Award and recently received a Brooklyn Arts Council Community Arts Fund Grant for their Warrior Goddess Workshop. thepushpopcollective.tumblr.com. Char Johnson is a rap artist known for her solo work as Bones. In addition to being one half of the lesbian rap crew Zebra Baby, Char did vocals for the Simian Mobile Disco track Hustler. 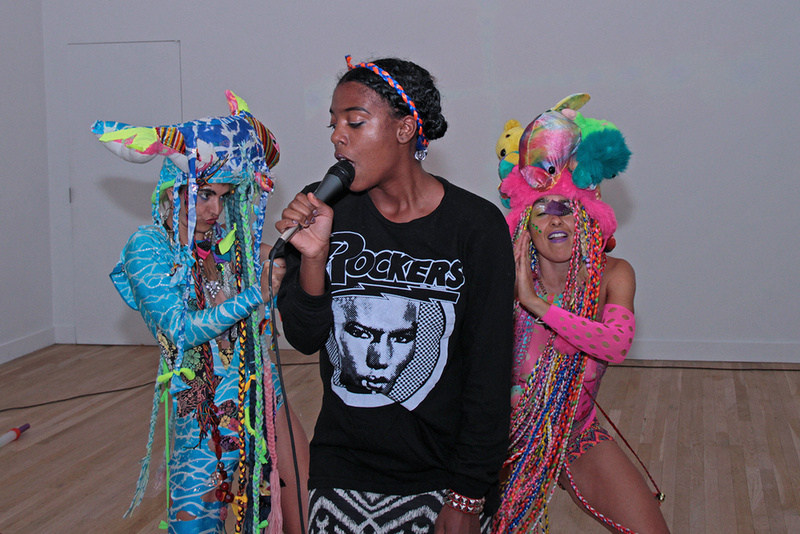 Char has toured with Zebra Baby extensively in the United States including a recent performance at the CUE Art Foundation during Goddess Clap Back: Hip Hop Feminism in Art. Born in Rochester, NY Char currently lives and works in Bushwick.